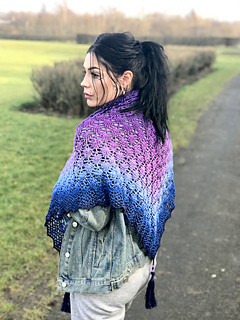 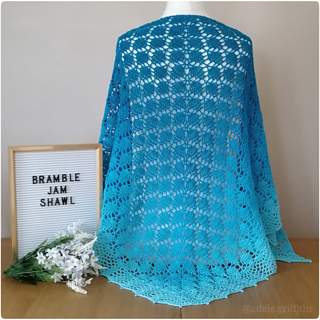 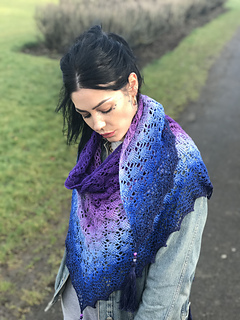 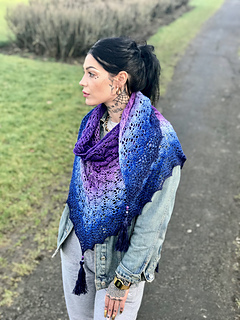 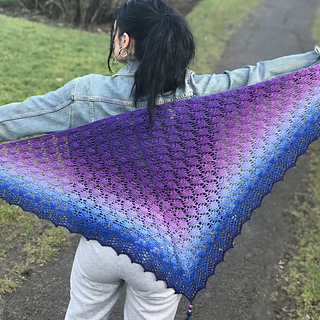 Bramble Jam is a top down triangle shawl. 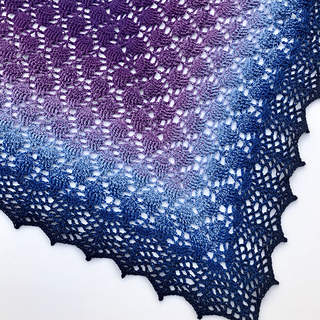 The pattern is reminiscent of cascading textured berries with a contrasting triangle trellis border. 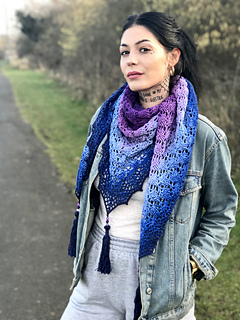 Easily adjustable to make in any yarn weight, by adjusting the pattern repeats and the hook size used. 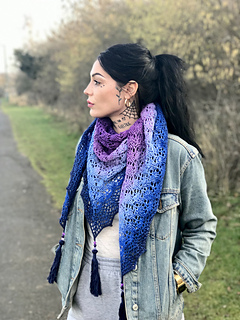 The pattern is written and charted in both UK crochet terms an US crochet terms.